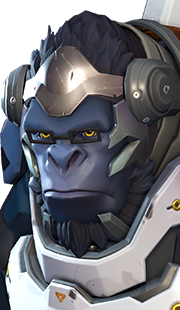 On this page, you will find a detailed overview of the abilities that Tracer has access to. We also explain how to best use these abilities. The other pages of our Tracer guide can be accessed from the table of contents on the right. Tracer is a Flanker, which means she needs to stay alive while maximizing damage output. Do not chase if you cannot Secure Kills. If Tracer has a few enemies trying to kill her while her team moves on an objective, Tracer is doing her job! Harassing is just as important as getting kills. Be confident in your decisions when you play Tracer. You may not always make the right choice, but as Tracer, it is better to play confidently rather than constantly worry about getting killed. Think about what you did wrong when you die, not while your still alive. Learn to use Blink at the proper times. Tracer's Pulse Pistols have an exceptionally high rate of fire (it only takes 1 second to empty her 40-bullet clip) and they deal excellent damage at close range (240 damage if every pellet in a clip hits an enemy and is shot within 11m.) The damage drops off at longer ranges (to a shocking 60 damage at maximum range, if every pellet strikes the target.) Additionally, Tracer's pistols have a large spray radius when shot from far away, which means the closer Tracer is to her target, the more accurate her pistols are. In fact, at close range, the Pulse Pistols are fairly exact. If you hold down the fire button and drain the entire clip, the accuracy does decrease towards the end of the spray, but not enough to cause issues at Tracer's preferred range. You should use your mobility to get close to your target before you unload your entire clip into them. If you get close enough, and if your aim is true, then scoring 100% accuracy with a clip is not as difficult as you might think. 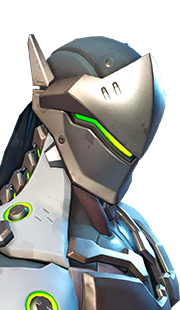 A recommended technique for increasing damage is to aim for the head, as every pellet that hits an enemy in the head will deal double damage (this can result in 480 damage if every pellet strikes the head and Tracer is within 11m from her target). Another technique for Tracer players is to shoot the pistols in bursts if Tracer is far away from her enemy. The success of this technique depends on her distance from her target, as even from 10m away, unloading a full clip while aiming at the head can result in exceptional damage. However, when 15m away, we recommend shooting the pulse pistols in a burst fire sequence at the target's head. To maximize damage, burst firing from 15m away should be in 15-20 pellet bursts. This means 1-2 breaks per clip. To get the best damage, the bursts should be closer to 15 bullets, but 20 can be fine depending on the scenario. The Pulse Pistols have a brief reload time of 1.25 seconds, which means Tracer's reload rate is just a bit slower than her firing rate. This .25 difference can feel off for new Tracer players, so remember that her reload rate will seem long since her shot speed is a little faster. Having said all of this, there are times when it is acceptable to use your Pulse Pistols at medium, or even long, range. 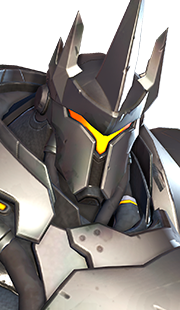 If you are safe (behind Reinhardt's Barrier Field) and are waiting for your abilities to cool down, there is no reason to sit idle, even if your damage is sub-par. In other situations, shooting from far away can be used to distract enemies. 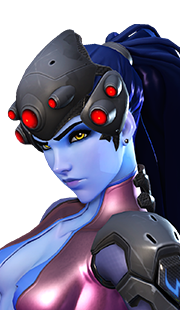 Widowmakers who are zoomed in for the kill will almost always zoom out and look for Tracer if they are shot with some random pellets. While Tracer has no chance to kill an enemy from far away, getting pelted with shots can be extremely annoying for Tracer's opposition. Teleport in the direction you are moving. 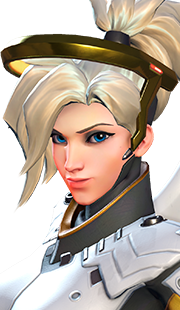 When used, Blink teleports Tracer a short distance in the direction in which she is moving. Blink only works on the horizontal plane (Tracer cannot use Blink to move vertically) and it does not move through heavy obstacles, such as walls, but can go through chest-high objects depending on Tracer's approach. The ability functions on a charge system, with Tracer holding a maximum of 3 charges, and each charge taking 3 seconds to recharge its use. If Tracer uses all 3 charges in quick succession, it will take 3 seconds recharge each charge, which means it will take 9 seconds to recharge all 3. It is worth noting that Blink's effect is almost instant, but there is a slight delay. In conjunction with in-game latency, this will sometimes result in Tracer being hit by abilities that she had appeared to dodge by using her Blink. This is demonstrated when Tracer is killed, and her body reacts to the player's Blink, launching the body towards the direction in which the player had tried to travel. Utilizing Blink to its full potential is one of the most difficult aspects of playing Tracer. We suggest using it for these purposes. First, Blink should be used to help Tracer move into position to damage her enemies with her Pulse Pistols (and sometimes to stick her ultimate). It also helps her traverse otherwise dangerous areas without putting herself in harm's way. For example, Tracer can cross an open area watched by an enemy Widowmaker or Bastion without giving them an easy target. Second, Blink helps Tracer avoid damage and make herself a small target. Your use of Blink should not stop once you have reached your intended destination. In fact, it is always recommended to have one Blink charge left when engaging an enemy. When you get within close range of an enemy, your advantage is your ability to quickly move positions. 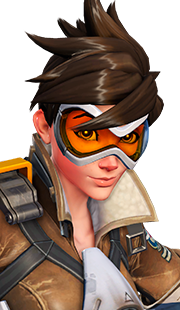 Tracer's Blink allows her to travel in unpredictable directions that will confuse her enemies and catch them off guard. As soon as you feel that you have been detected (enemies turn towards you, begin firing at you, and so on), you should Blink to make them lose track of where you are. This gives you a massive advantage over your enemy, as they need to "re-engage" to find you, but you know where they will be relative to your new position because you are the one who made the move. In short, you are the aggressor and Blink is your move, the enemy is the defense and they have to respond to your move. This scenario is exactly why Tracer players need to be quick on their feet and decisive in their play style. Excellent Tracers force the enemy to respond to them, not the other way around. This enables Tracer to begin damaging her target before they get to damage her. 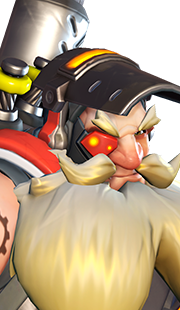 Essentially when dueling or fighting anyone in close range, you should use Blink as soon as you are taking damage (or if you feel like you will get hit with an ability like Flashbang or Helix Rockets), because your health is so low that you cannot afford to fight heroes directly. Third, Blink allows Tracer to get across gaps. While you cannot move vertically with Blink, as stated, Tracer can Blink over gaps without falling into the pit. In fact, Blink moves Tracer's in-game model horizontally at whatever height she is currently at. 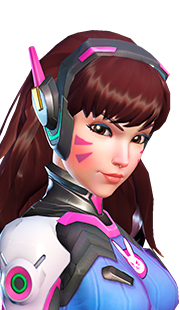 Therefore, Blink can be used in conjunction with the vertical height of a jump to reach higher locations that are vertically at the peak of Tracer's jump, but horizontally a Blink or two away. This can be useful for taking unexpected routes to your enemies, escaping enemies who are pursuing you, and so on. Sometimes, you may need to spend 2 charges, or even all 3, to reach a desired location, so make sure that you have enough charges to get across the gap in question. It should be noted that Tracer can use her Blinks at different heights throughout a fall. This means Tracer can jump off a ledge and immediately Blink, the turn a different direction as she falls, and Blink again to reach a far away ledge. This is only useful when Tracer is high up on a map, but it is useful to get to ledges that are further away. Fourth, Blink can be used to help Tracer protect herself when she reloads. If Tracer is fighting an enemy and needs to reload, she can start the procedure, use Blink mid-reload, and will continue the process during her Blink phase. 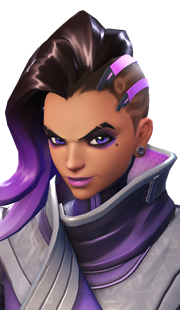 This buys Tracer time to reload her Pulse Pistols in the safety of limbo, ready to shoot her enemies once she comes out on the other side. Lastly, Tracer can use Blink to travel back to a fight after she dies and respawns. When doing this, make sure you leave yourself a charge or two for when you engage enemies. Here are a few more notes about Blink. 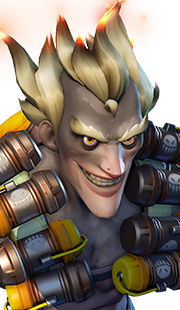 You cannot use Blink to get out of stuns or other effects that incapacitate your movement (such as Junkrat's Steel Trap). 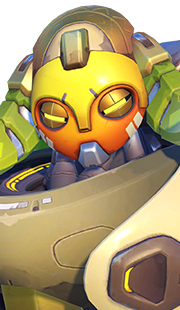 In fact, if Tracer hits a Steel Trap while Blinking, the trap will be triggered and Tracer will be stuck in the trap at the end of her Blink. 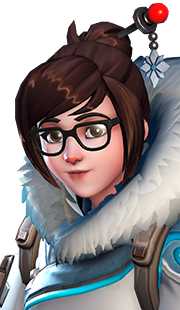 You cannot Blink through Mei's Ice Wall, so beware of her blocking your path during combat. 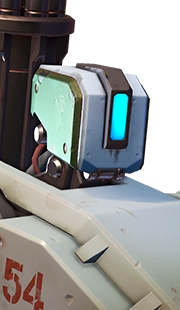 Blinking out of Mei's Blizzard or her Endothermic Blaster's frost stream is a good way to avoid being frozen. 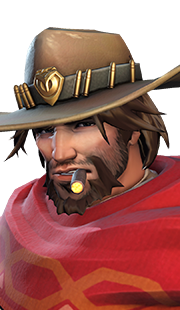 However, if Tracer is hit with McCree's Flashbang just before she Blinks, similar to Junkrat's Steel Trap, she will be stunned at the end of her Blink distance. Blink makes a distinctive sound each time it is used, meaning the other team can hear you if you Blink in their audio range. This can make it difficult to sneak around enemies if you must Blink to reach them. As you can see, Blink is a versatile tool that needs to be constantly utilized throughout every match. 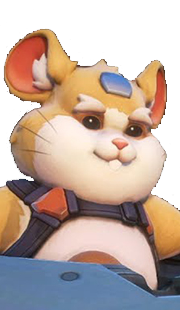 It has far more specific uses than we could ever list in a guide, and mastering its usage will require hours of practice, but it is a skill that you must be mastered if you wish to be a competent Tracer. Travel back in time to your previous location and health. 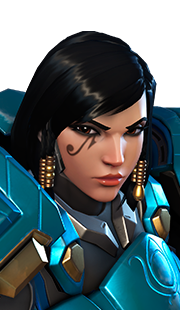 When used, Recall moves Tracer back in time, resetting her to the map position, and health (if her health was previously higher than it was when she initiated Recall) that she had three seconds prior to Recalling. 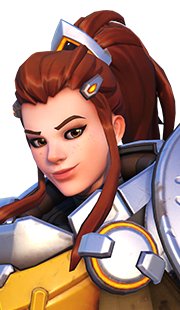 It does not affect the cooldown of her other abilities, or the number of Blink charges that she has; nor does it affect the status of her armor (from Brigitte's Repair Pack). 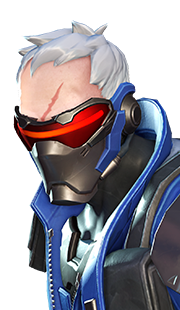 However, during Recall Tracer is completely immune from any damage. 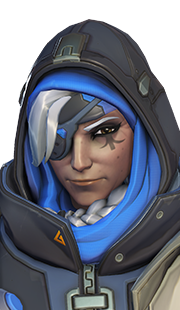 It should be noted that Recall has a brief casting delay, but on completion, it removes any debuffs from Tracer that she had before she Recalled. In addition to removing debuffs, Tracer's Recall automatically reloads Tracer's Pulse Pistols, which means Tracer is locked and loaded right after she warps through time. It should also be noted that if Tracer recalls to a moving platform or moving payload, she will recall to her position on the payload 3 seconds prior, rather than recalling to her exact location, which would result in Tracer recalling to thin air. The main use of Recall is to get Tracer out of dangerous situations. As such, its usage will often be reactive. For example, if there are more enemies at the end location of your Blink than you had anticipated, or if your aim is not as good as you had hoped, or if you took some unexpected damage, you can simply use Recall to ferry yourself back to safety. You can also use it to remove debuffs like Zenyatta's Orb of Discord or Widowmaker's Venom Mine. Another use of Recall is its critical utilization during prolonged duels. 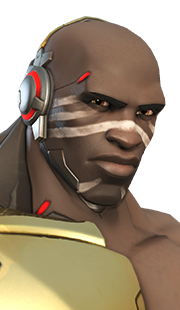 When committed to fighting an enemy hero in close range, Recall serves as a self-heal, restoring all the health you had lost in the previous 3 seconds. 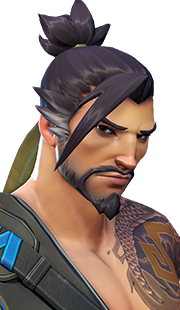 This can help Tracer fight through her low health pool and come out successful in close combat situations as Recall turns her 150-health into an effective health pool of 250+, which is enough to rival all other offense heroes (naturally, this assumes you do not get killed before you have a chance to Recall). In these situations, you should delay using Recall for as long as possible, dealing the maximum amount of damage you can before having to Recall to heal your own wounds. Finally, Recall can be used offensively as well. 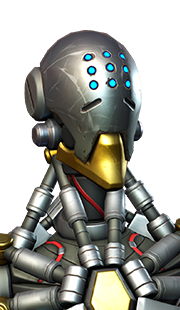 For example, Recall can be used in conjunction with Blink to add another instance of unexpected movement that your enemies have to adjust to. Also, Tracer can use Recall to deploy her Pulse Bomb and bail out from the scene before the bomb goes off. Throw out a powerful sticky explosive. Pulse Bomb is a bomb that Tracer can lob a short distance in front of her (the Pulse Bomb falls to the ground quite abruptly, so aiming your crosshair up is necessary to throw it a little further away from you). The Pulse Bomb explodes 1 second after being thrown, dealing 300 damage in a 3m area. Tracer also takes damage from Pulse Bomb if she is within range when it explodes, but her allies are not damaged. The Pulse Bomb sticks to the first object or enemy player it comes in contact with. If it sticks to an enemy player, they are hit with 5 damage before the explosion, then the bomb deals 300 damage. Understandably, wherever the player is when the Pulse Bomb explodes is where the bomb will explode. The ideal usage of Pulse Bomb is evident. Since it deals high AoE damage, you want to throw it in areas where several enemy heroes are stacked together. You should make use of your Blink to quickly get to your enemies, drop the Pulse Bomb, and get out with Recall. 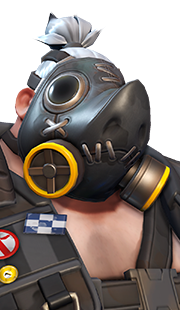 Note, however, that the delay of the explosion, coupled with its small radius, means that players can avoid the Pulse Bomb if they are careful and not otherwise distracted. For this reason, it is highly recommended that you attempt to stick the Pulse Bomb to a target, or that you use Pulse Bomb in areas from which your enemies cannot escape. 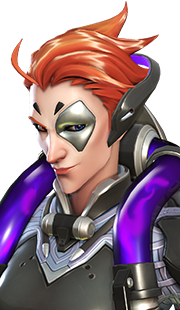 Additionally, several heroes can use their abilities to get rid of or survive a stuck Pulse Bomb, so some heroes are better targets than others. 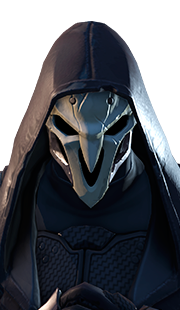 Some examples of heroes that can survive being stuck are: Mei using Cryo-Freeze, Reaper using Wraith Form, Moira using Fade, Tracer using Recall, and Zarya using Particle Barrier. 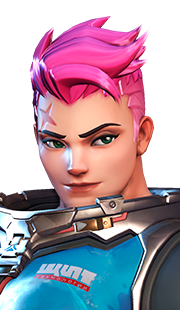 Unsurprisingly, Pulse Bomb forms excellent synergy with abilities that slow, stun, or group multiple enemies like the following abilities: Zarya's Graviton Surge, Reinhardt's Earthshatter, and Mei's Blizzard. While getting multi-kills with Pulse Bomb is nice, waiting for an ideal Pulse Bomb scenario is not advantageous, since saving the ability can be a waste of Tracer's prowess. Tracer gains ultimates rather quickly, so holding on to a Pulse Bomb for more than a minute is probably not advantageous (unless a team member wants to use your ultimates together). 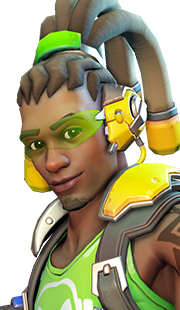 Instead, as long as you can secure a kill with Pulse Bomb, it is typically worth using. 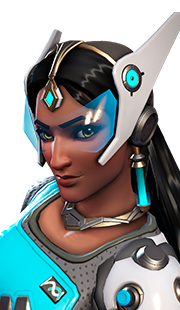 Additionally, Pulse Bomb can be used to take out a heavily guarded Bastion, or Symmetra's Teleporter.